Matchmaking improvements have hit the PC version of PUBG a few hours ago. Improved matchmaking times when selecting individual maps. Reduced instances of infinite matchmaking times on some maps. Improved functionality to better distribute players across all maps when using Quick Join. 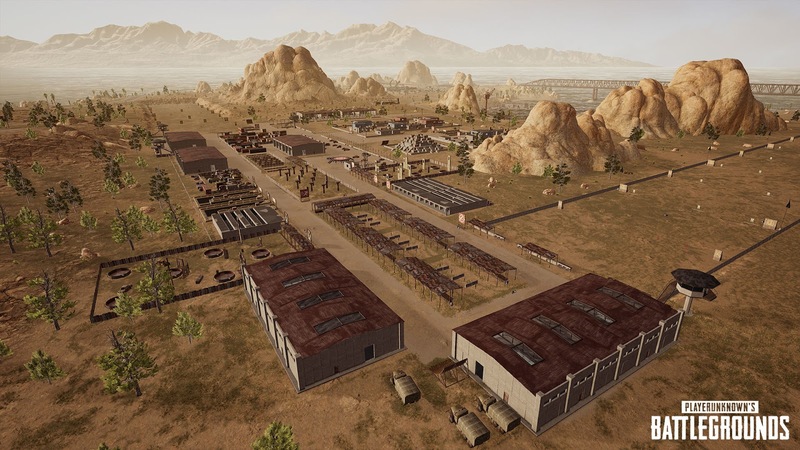 Players will now be distributed into multiple different maps more consistently. Previously, when selecting Quick Join, matchmaking would heavily favor matching players into the most commonly selected maps. Today, update #27 has also hit the test server, bringing plenty of gameplay tweaks, a new weapon, quality of life, performance improvements and more. You can find the full update notes below. MP5K is a new compact SMG exclusive to Vikendi and will replace the Vector on that map. ‘Survivor Pass 3: Wild Card’ will soon begin and includes over 60 rewards which can be obtained within the 10 week pass duration. The new pass will include improved missions which will test players skills, an in-game feature which will provide tracking of missions in real-time and even new background music and lobby. Enjoy the new Survivor Pass 3: Wild Card! Earn a weapon skin for each weapon’s mission set you complete! We have gathered valuable feedback from our players during Survival Title System Beta Season 2 and are launching Season 3 with some changes, including making it easier to gain points and granting coupons as you progress through the titles. We will continue to iterate on and improve this system moving forward. 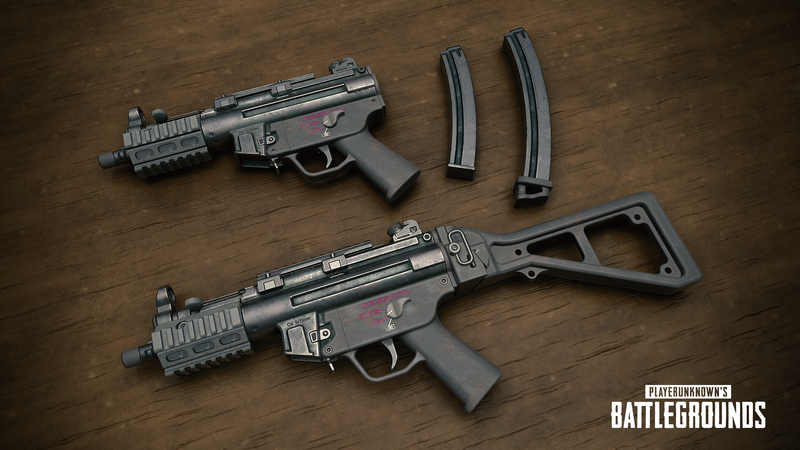 The UMP9 has been rechambered to use 45ACP ammo and is now called the UMP45. Vehicles now block players from receiving grenade damage with a similar mechanism used for other objects. Although, depending on grenade position and trajectory, damage can still be dealt to players hiding behind vehicles. The overall item spawn rates on Erangel have been increased. Additionally, we’ve increased the spawn rate of some major weapon classes. Please jump in and try the changes and let us know your feedback! Due to item changes this patch, including merging some attachments together, there is naturally a gap left in spawns which needs to be filled with other items. Because of this, we have increased the spawn rate of other items evenly. This will also result in a small increase in spawns of high priority items such as ARs, meds etc. This also means the overall loot for other maps has also increased slightly, although no changes have been made to individual item spawn ratios on other maps. To celebrate FACEIT Global Summit: PUBG Classic in London this April, we’ve added FACEIT Global Summit advertisements to Sanhok and Vikendi. On Vikendi look out for the big billboard in Volnova! Visit the official PUBG Esports website for more information on the FACEIT Global Summit: PUBG Classic. Improved the overall system menu design including, settings, team management screen and more. A PUBG 2nd Anniversary Cap is now available for free! We are happy the announce that the Irish language is now supported in-game thanks to voluntary localization from players and communities. We sincerely thank the players for their enthusiasm. Fixed an issue where when a player was damaged by two Molotov Cocktails, the player who threw the first will be credited with the kill. Fixed an issue which could cause your gun to reset to single fire mode, despite having the default set as full-auto. Fixed an issue which caused heavy FPS drops momentarily using hotkeys to mute or change audio channels. Fixed an issue which could allow players to wear items which they’d previously exchanged for BP.